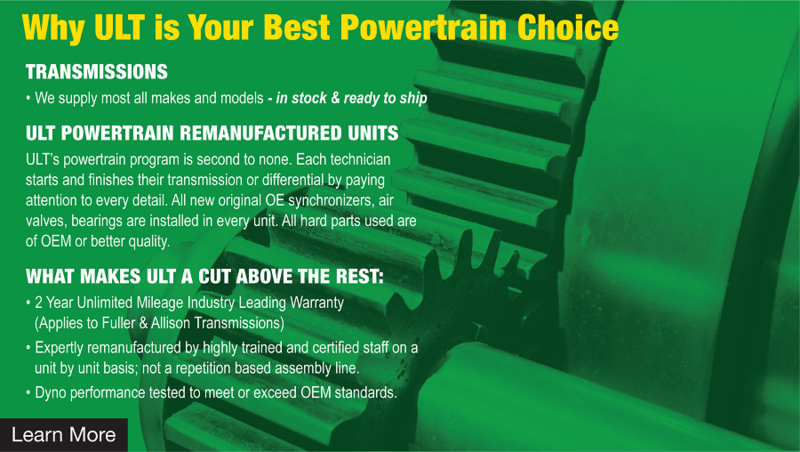 ULT Powertrain: Your parts source! 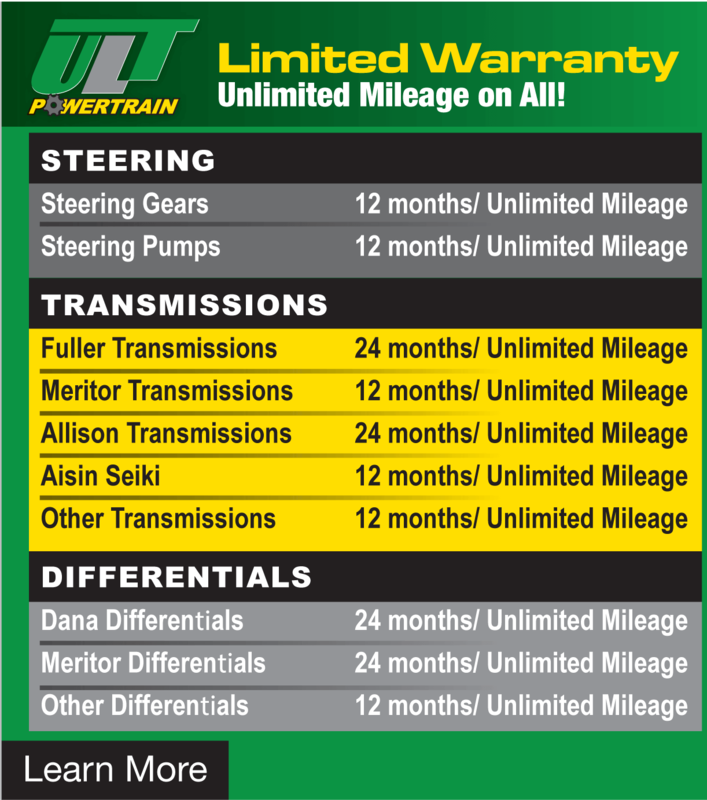 ULT’s powertrain program is second to none. 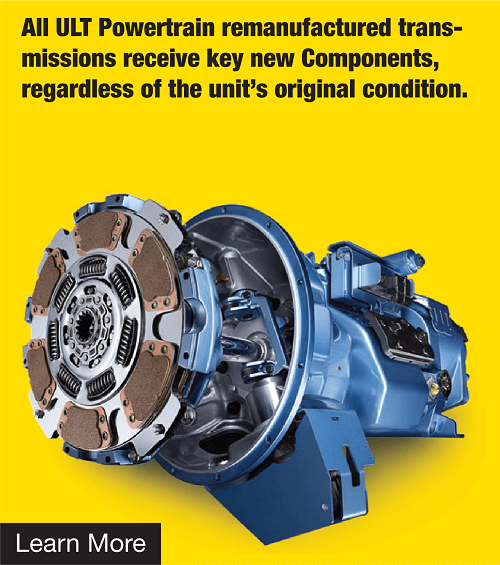 Each technician starts and finishes their transmission or differential by paying attention to every detail. 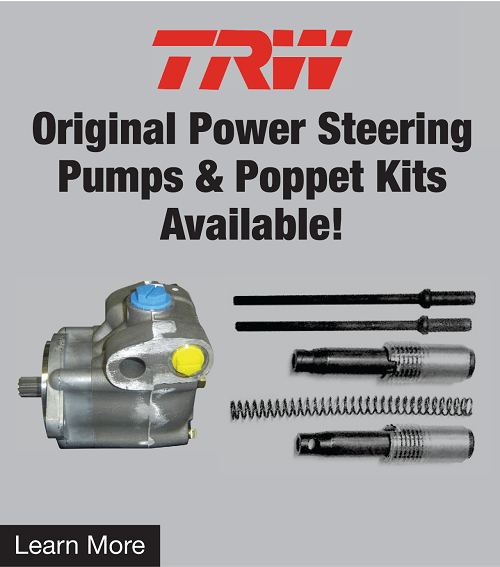 All new original OE synchronizers, air vales, bearings or NTN/Bower bearings are installed in every unit. 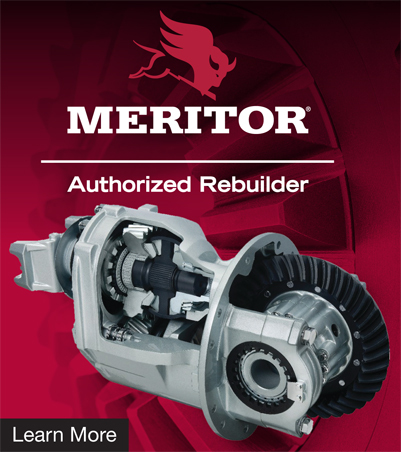 All hard parts used are of OEM or better quality. We invite our customers and dare our competitors to tour our parts isles. Additionally, All NEW hoses and fittings are installed to ensure you have the best quality unit available in the industry.